We have just sold a residential property at Newmarket, employing Arthur Conias Ashgrove. Our agent was Jeff Pickering who, ably assisted by his excellent staff managed the prodigious feat of selling my property in under 24 hours at the price we wanted. 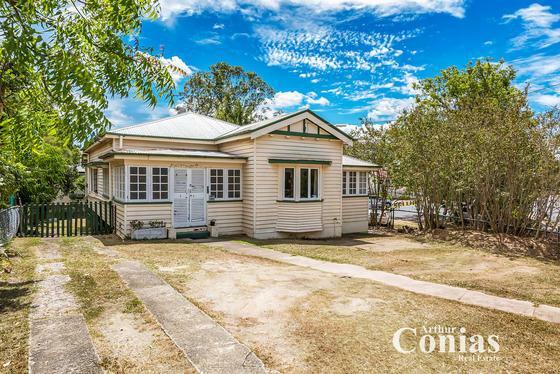 Our house was a 1935 Queenslander in a character area beside a school. The house requires a lot of “TLC”. We thought that it may be a tough sell but that did not prove to be the case with Jeff and hi team at the helm. Jeff and Arthur Conias were recommended to us by two couples we are friends with. They had bothrecently sold properties through Arthur Conias and were impressed with the professionalism and courtesy shown by Jeff and his team. Both properties sold at the asking price and in good time. We recommend Arthur Conias to anyone who is thinking of selling their property.